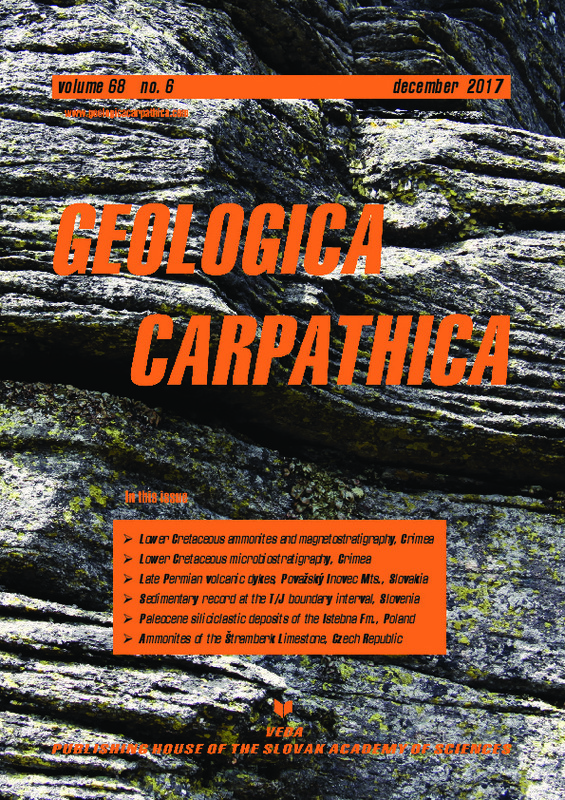 Abstract: This paper presents geochronological data for the volcanic dykes located in the northern Považský Inovec Mts. The dykes are up to 5 m thick and tens to hundreds of metres long. They comprise variously inclined and oriented lenses, composed of strongly altered grey-green alkali basalts. Their age was variously interpreted and discussed in the past. Dykes were emplaced into the Tatricum metamorphic rocks, mostly consisting of mica schists and gneisses of the Variscan (early Carboniferous) age. Two different methods, zircon SHRIMP and monazite chemical dating, were applied to determine the age of these dykes. U–Pb SHRIMP dating of magmatic zircons yielded the concordia age of 260.2 ± 1.4 Ma. The Th–U–Pb monazite dating of the same dyke gave the CHIME age of 259 ± 3Ma. Both ages confirm the magmatic crystallization at the boundary of the latest Middle Permian to the Late Permian. Dyke emplacement was coeval with development of the Late Paleozoic sedimentary basin known in the northern Považský Inovec Mts. and could be correlated with other pre-Mesozoic Tethyan regions especially in the Southern Alps.